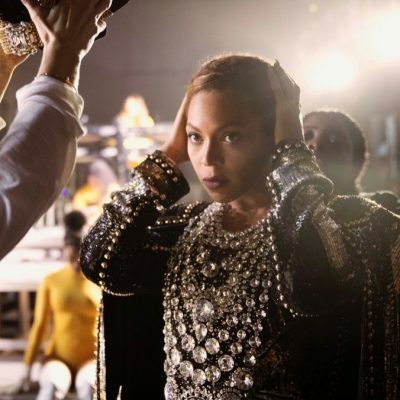 Town & Country magazine has long been considered a Bible of fine jewelry in the media world and ever since last year it has had Stellene Volandes, a self-proclaimed “sort of jewelry evangelist,” at the helm. During the holiday season the beloved editor-in-chief preaches all things precious for T&C in print. She also gives all kinds of ideas to her Instagram followers on good jewelry gifts under the delightful hashtag #tandcholidayhotline. 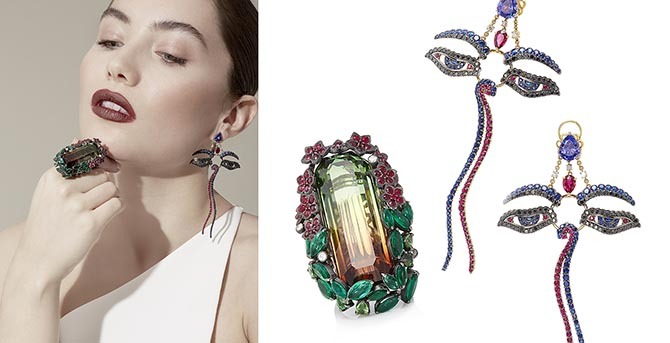 As if that weren’t enough, Stellene has served up more jewelry ideas for the debut of Moda Operandi’s Modern Collectors series this season. “It has been wonderful working in collaboration with Stellene to curate her fine jewelry trunkshow,” says Moda Operandi’s CEO Deborah Nicodemus. 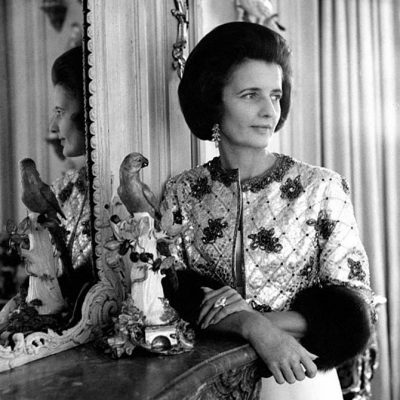 “She has such a unique eye for fine jewelry, and truly knows what modern day women are looking for when they’re in search of the perfect piece.” The heart of Stellene’s selection features designers from her brilliant book Jeweler: Masters, Mavericks, And Visionaries of Modern Design. See highlights of the trunkshow below and be aware, these designs rarely appear online and the offering ends on January 4. The one-of-a-kind 18K gold and silver Kaleidscope earrings by Judy Geib are set with ruby, amethyst, pink sapphire, moonstones and hematite. 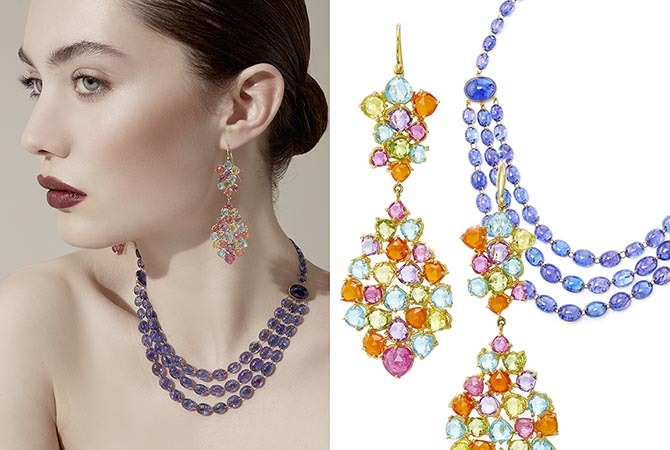 The one-of-a-kind First Lady necklace by Marie Hélène de Taillac is set with Tanzanites in 22K gold. The French designer’s Mosiac of Gold earrings feature an array of 36.95-carats of gems set in 22K gold. 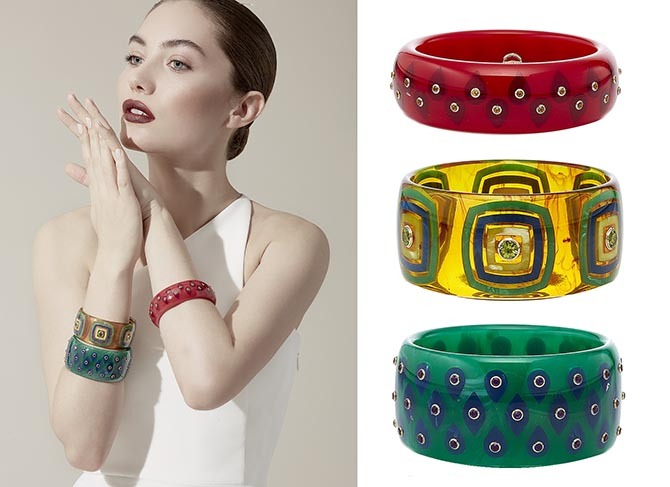 Mark Davis’ daring designs feature vintage Bakelite set with precious gems and gold. His one-of-a-kind green Adeline bangle is set with amethyst and gold. The red one-of-a-kind Adele bangle features citrines in gold. The one-of-a-kind semi-translucent Corrine Bangle has peridot and gold accents. 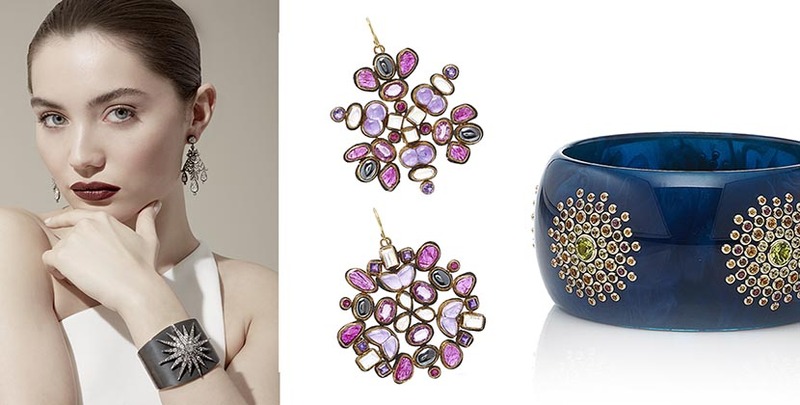 Elena Votsi sets her signature Cyclos ring set with a variety of colorful gems. The still-life of the jewel above has Gemfields rubies. 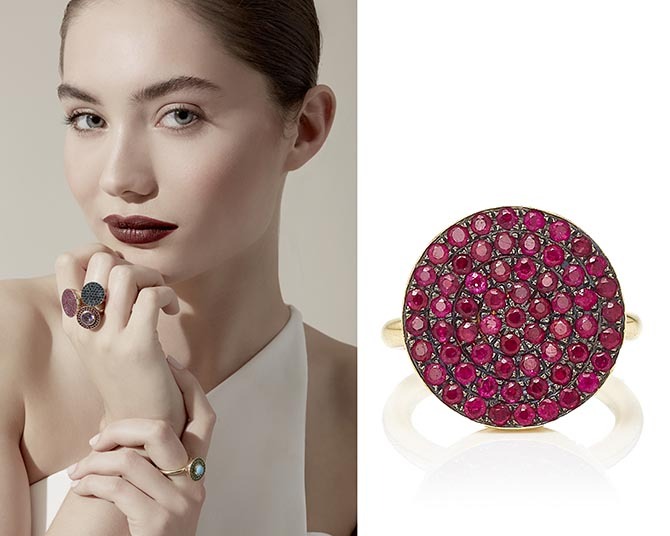 Lydia Courteille’s statement ring centers on a huge tourmaline surrounded by a floral pattern of rubies, emeralds and tsavorites. 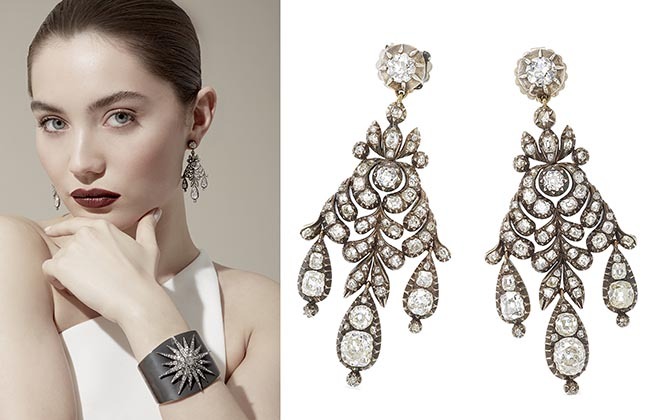 The Kites Earrings by the designer are covered in white and black diamonds, sapphires, rubellites and Tanzanites. Wood is a signature material in Antoinia Miletto’s jewelry. 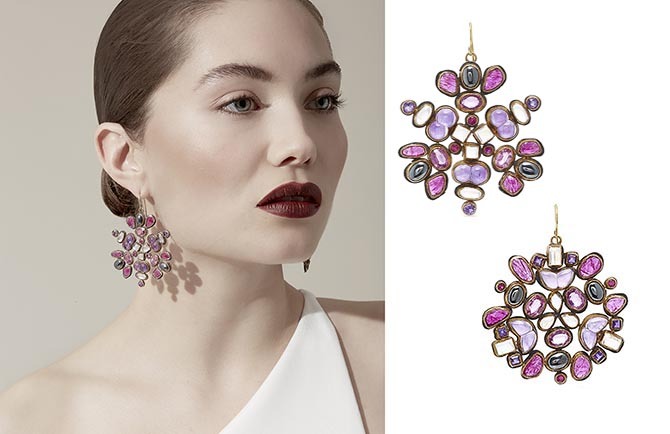 Her one-of-a-kind pendant earrings are set with Purpleheart wood, rubies and diamonds. Miletto’s Marina Purpleheart wood bracelet has diamond and 18K gold links. Fred Leighton’s celebrated collection includes astonishing vintage pieces and new designs inspired by the old work. The earrings above are 19th century diamond and silver jewels. The one-of-a-kind bracelet is a beautiful marriage of an antique diamond starburst brooch set on a silver topped gold cuff.